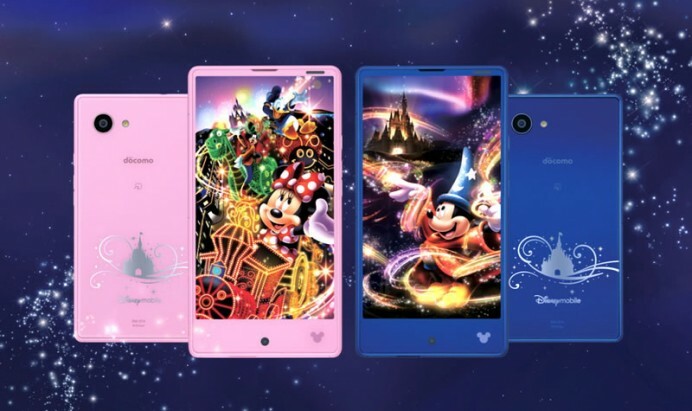 Japan’s NTT Docomo has just announced their Disney phones that do more than just reminisce the characters from Disney World. The phones have themes pre-installed such as Main Street, Fantasyland, Tomorrowland and Adventureland. You can change the theme and also ensure that the live wallpaper and the illumination of your device is adjusted to match it. The back cover of the phone shows off the Cinderella castle. The phone is based on the Sharp AQUOS Compact SH-02H. It comes donning a 4.7-inch IGZO full HD display screen, runs Android 5.1, 3 GB RAM, 16 GB storage, 13.1-megapixel camera, a 2810 mAh battery, Wi-Fi, Bluetooth and a rather rugged form to keep water and dust from causing serious damage. One may wonder with the specifications and the rugged aspect, if is this phone cut out to be a young one’s first phone. Well it does have a Disney theme and also comes in sparky pink and blue options. It costs 25,920 Yen ($222) with a new contract.